I am 46 years old and have been smoking for 30 years. I just need to do this and quit !!! I am afraid of failing and giving in and I just can't (I don't want to). I want my 25 year old daughter to be proud of me and hopefully one day it will encourage her to stop to. I don't know what else to say, I just really want to get through today!!! Welcome to EX. Quitting can be a rollercoaster ride. You have come to the right place to scream.Congratulations on day one to quit smoking.. This is all about you and what you are willing to do to be smoke free. Quitting smoking requires hard work. It can be challenging at times but you will learn that it is doable if you adhere to NOPE not one puff ever no matter what. I was talking to an employee today and she recommended the book from Alan Carr. So tiday after work I am going to get it. Thank you for your support. Congratulations on your decision to quit and your first day! The most important thing you can do right now is to educate yourself on what nicotine does to your body and mind. To that end, I also recommend Allen Carr's “The Easy Way to Stop Smoking.” This is an easy and entertaining read. It makes a great crave buster! Welcome to the site, read the recommended links above me and everything you can about quitting smoking and Remaining Quit because there's a wealth of information here to strengthen your resolve to kick the nicotine poison to the curb and start living a life of Freedom, you can do this quit one precious smoke free day at a time or one hr, minute or even one second at a time but as long as you keep moving then each evening you can say YAY for Days WON and on this particular evening it's can and will be Day WON! you are in the right place! We are all proof that YOU can do this and WE are 100% with you. Welcome my new friend. Welcome! Getting through day one may feel weird but day by day as you don't smoke, you'll find the quit you are looking for. Keep coming back, read, blog and keep working your quit. Yes you can. Welcome please keep blogging before you take that first puff over you it was suggested to me to read and educate myself about my nicotine addiction. I stay on this site everyday for 90 days just sharing and reading and doing what was suggested to ME.... it is still what I do today... one day at a time. Welcome to EX, you have come to the best site I know of to stop smoking. Please read everything you can about nicotine addiction because this IS an addiction and not just a habit. Stay as close to the site as you possibly can and read blogs, comment, blog, let us know if there is anything we can do for you. I am going to put in links to two of jonescarp.aka.dale.Jan_2007's blogs that I believe you will find very helpful What To Expect In The First Four Months and My Welcome To New Members (12+ Years Of Watching) there are also blogs from others you would definitely find helpful...Youngatheart.7.4.12 and JACKIE1-25-15 have beautiful welcomes that they post. I am so happy for you that you are taking this journey with us, you will never regret quitting and every bit of discomfort that you may go through will be well worth it. You have so much helpful info here so i just want to say Hello and welcome you to the group I have about 946 days of freedom (DOF ) after smoking 52 years of my life. I give so much credit to the Ex-Community for my successful quit and I still think... One day at a time ! Please take all you need and leave the rest ,blog often in the early days and months so that we all get to know you and help you succeed ! Have a plan and stay committed to it ! 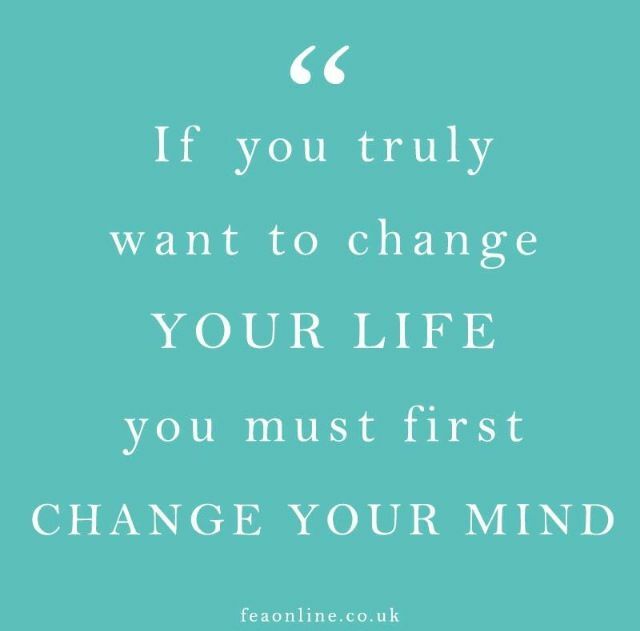 think positive thoughts when a negative one pops into your head you have the power to change that thought ! Welcome! We are so glad to have you here. I'm guessing you might be pretty miserable right about now. I am just a couple weeks into my quit so I remember those first few days very clearly. Please hang in there. It gets so much better. I'm still on shaky ground but I feel so much better. And you will too even if you don't think it's possible at the moment! I'm so glad you are here. I'm proud of you for deciding to put your health front and center. The morning at work are just really hard. I have like zero patience and people are annoying me, and its not fair to them. Other than that I am good...I guess the good is through all this frustration I am not smoking. I will not smoke today. my workers have been awesome and one of them brought in a diffuser for me and put in it clove and citrus oils. the clove is supposed to help my cravings and the citrus to help my mood. Not sure if it working but i really love the thoughtful gesture. This morning I am a little better!! I can't believe I am on day 4 !!! I have not stopped smoking this long in 15 years . Best to everyone !! Keep up the great work and please keep reading!!! This site was so helpful to me in the first few days and continues to be even now. Congratulations on 4 days and let those days stack up! Tmac1971 CONGRATULATIONS...you are making progress. I am so glad your co-workers are being understanding and supportive, that really helps. I told everyone I could that I quit smoking...I wanted their support and their understanding in case I was crabby and/or goofy...I was goofy a LOT. I can PROMISE you that it does get better, it's a journey and sometimes it seems to take forever but then that day comes when you realize you never even THOUGHT about smoking. It comes as a surprise but it comes because you have been "working" your quit, staying close to the site, talking to people, learning all that you can about addiction, you can do this. I smoked for longer than you have been alive. I have been smoke free for over 3 1/2 years now, I am suffering the consequences of smoking for so long. I SO wish I had quit when I was YOUR age. You are doing this...keep it up! Congratulations, you wanted to do this, and you are doing it!!! And you have a whole team of seasoned and willing to help EXsmokers behind you! Think like an Ex-smoker, act like it, and you are becoming one. This first week is the most challenging, but a lot of documentation has been shared with you, read, educate yourself, keep yourself, keep your mind busy, and you'll make it through. All of us have been there and made it, you can too! And Allan Carr's book will tell you the same thing, hopefully you made some progress with it. It really helped me, it helped me throw away the last milligrams of Nicotine I was feeding my body (I used an e-cigarette for the first 5 weeks after quitting smoking).